Finding easy, reliable tenants makes owning an investment property so much easier. Although you’re protected by your landlord insurance if things go wrong with your rental property, having great tenants can prevent issues from occurring in the first place. So how do you find the elusive perfect renter? Today, we’ll be looking at steps you can take to help you find model renters for your property. Create a quality listing – A good quality listing will attract good quality tenants. Take the time to have your property looking its best and get some professional photos taken for the listing. Think about creating a listing as though you were selling the property so you can attract the right kind of renters. If your property doesn’t present well, neither will your potential tenants. Meet tenants in person – Even if you use a property manager, your first impressions of potential renters are very important – after all, they’ll be living in your house! Make sure you take the time to meet with your tenants in person to confirm that you’re comfortable with them. Speak to references – If you think you’ve found the perfect tenants, you still need to take the time to follow up with their references. It’s normal that they’ll provide details for friends or family members but also try to get a reference for a current employer so you can confirm that paying rent won’t be an issue. Consider their rental history –Look for tenants who have tended to stay at least a year in previous rentals as shows that they’re reliable. If they’ve had a number of properties in quick succession, ask them why. Speak to previous property managers for more details and try to get the details of their last two property managers to so you can get more than one opinion. If they’ve rented before but have no property manager references, this may signal an issue. No matter how careful you are in the selection process for your tenants, sometimes you don’t get it right. From tenants who can’t meet their rental payments to malicious damage or theft, there are number of tenant-related obstacles you may encounter as a landlord. Your landlord insurance can alleviate some of worries you may have about tenants as it’s designed to protect you financially when things go wrong so make sure you have the right level of cover in place. GSK Insurance Broker can help you find comprehensive and affordable landlord insurance Perth. We understand the time and expense which has gone into your investment property and we’ll use our expertise to find the best policy to cover your unique set of risks. Talk to one of our brokers today for more information about protecting your rental property. 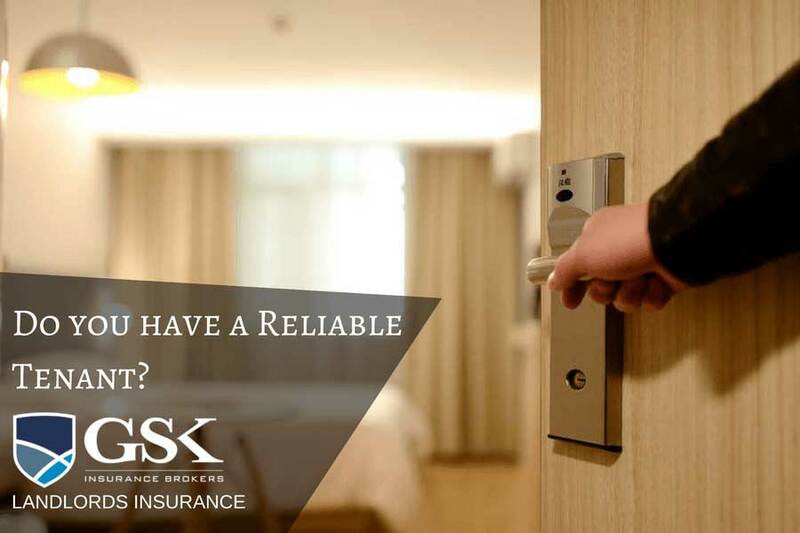 For a landlord insurance quote, speak to GSK Insurance Brokers today on 08 9478 1933. We can help you find the best landlord insurance to suit your situation.